University of California grad students will join service workers on the picket lines in a rare sympathy strike. In a labor action rarely seen on university campuses, graduate student employees in the University of California system announced on Wednesday that they plan to strike alongside university service workers walking off the job next week due to allegations of illegal retaliation against members of their union. After members of UAW 2865, which represents 16,000 UC graduate teaching and research assistants, voted to authorize a strike last week, the union pledged Wednesday to join the picket lines when service and patient care workers represented by AFSCME 3299 stage a one-day walkout on November 20. Graduate student organizers call the decision to stage a sympathy strike alongside other campus workers a “historic moment” for campus solidarity that comes in the midst of contentious contract negotiations between the university’s largest unions and the UC administration. “Academic workers standing in solidarity with service workers will send a clear message to UC management that its employees will not tolerate intimidation from bosses or the decline in working conditions,” says Marco Antonio Rosales, a union steward and graduate instructor at UC Davis. The California Nurses Association and UC Santa Cruz’s Skilled Crafts Unit have also announced that their members will strike in sympathy with AFSCME. Nearly $1 billion in budget cuts over the past five years have had a tumultuous effect on the UC system and have strained relations with students, who have seen steep tuition hikes, and staff, who have endured wage and hiring freezes. Contract talks between the university and AFSCME, which represents 22,000 employees across the UC system, have been deadlocked for more than a year, with the union contending that the university has forced through several rounds of painful pay cuts on top of already-low wages (according to the union, 99 percent of service workers are already eligible for some form of public assistance). Former Homeland Security Secretary Janet Napolitano, who was selected as the new UC president this summer and addressed the Board of Regents for the first time yesterday, has been charged with charting a path out of economic crisis for the university. Unions say they want that to ensure that that path includes fair pay and conditions for campus workers. AFSCME also charges that cost-cutting measures have led to declining working conditions in the UC hospital system, which is taxpayer-funded. While California law dictates that hospitals maintain a minimum nurse-to-patient ratio, the union has contended that essential services are increasingly contracted out to temporary workers whom permanent staff must train and supervise. When AFSCME staged a two-day walkout in May to protest staffing levels at UC hospitals, the union claims that members faced illegal intimidation and threats. One medical worker at the UC San Francisco Medical Center says he was pulled into a supply room and interrogated by a supervisor over whether he planned to strike. The November 20 strike was called in response to these allegations. “Our members—to say nothing of the people we serve—deserve a workplace that is free of this kind of blatant bullying. Without it, the entire UC community is at risk,” says AFSCME 3299 President Kathryn Lybarger. Graduate student employees, who have been tussling with the university over their own contract since June, say they have common cause with low-wage service workers on campus. Student workers are generally paid between $17,000 and $18,000 a year, and many must supplement their salaries with food stamps and student loans, says Amanda Armstrong, a doctoral student in rhetoric at UC Berkeley. In a research institution like the UC, a primary factor in undergraduate education is the undergraduate ratio and the quality of graduate programs more generally. Thus, graduate support is key to the quality of all UC education, and yet we watch as our graduate programs decline. Lack of quality education hits underrepresented students the hardest. In other words, class size and quality of education are questions of access for underrepresented minorities. The problem sits with both state funding and UC priorities. However, there are crucial solutions within close reach and increased graduate support is a key element to the solution. Because ballooning class sizes mirror the increased patient staffing ratios that AFSCME members are fighting, Armstrong believes it is important that the unions support each other. “Solidarity between campus workers in different sectors is really central to changing the power relations at universities so that their operations actually reflect the interests of the majority of the people who work and study here, ” she says, noting that while UC support for graduate students has been dwindling and class sizes increasing, the number of administrators making more than $200,000 per year in base pay increased by 44% between 2008 and 2011. 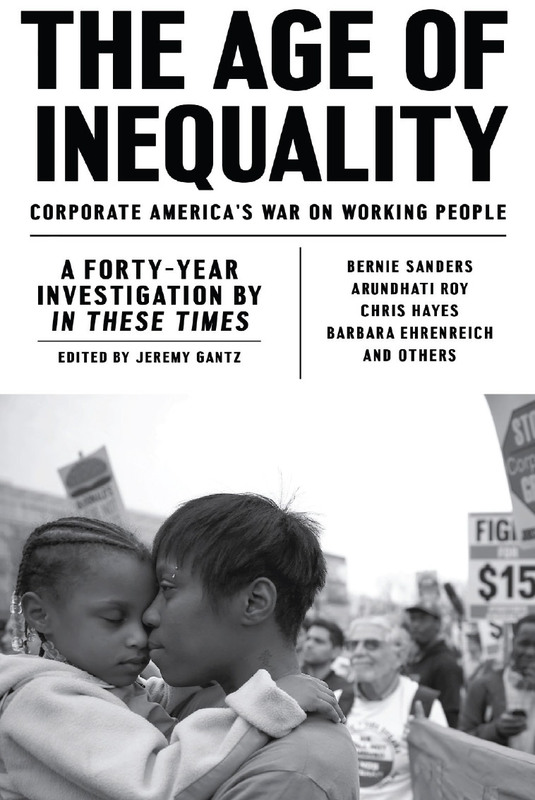 Labor writer Joe Burns, author of Reviving the Strike: How Working People Can Regain Power and Transform America, has called secondary labor actions such as solidarity strikes “primary to labor's revival,” but a restrictive legal environment ensures that they rarely occur. That graduate students are able to engage in a sympathy strike is a coincidence of timing; though sympathy strikes are not permitted under the UAW's contract, graduate student workers regained their right to strike when their contract expired on November 5. Some unions attempt to line up their contracts to expire at the same time to skirt the prohibition on sympathy strikes, but in many states public employees are barred under state law from taking such actions, making sympathy strikes at public universities even more unusual. The multi-union action planned for November 20 builds on an alliance born in 2009, when students, faculty and members of several campus unions planned a series of pickets, teach-ins and building occupations to protest a wave of layoffs, tuition increases, and academic and research program cuts. At the time, graduate students were involved in the actions primarily on an ad hoc basis, but since then members of Academic Workers for a Democratic Union (ADWU), a reform caucus within the union, have gained control of the union's leadership council after pledging to take stronger action against proposed cuts. 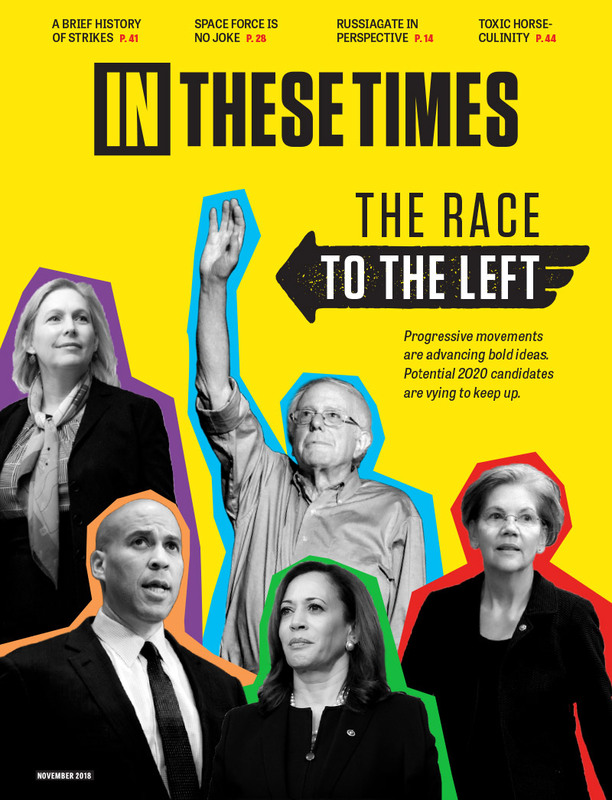 AFSCME is a website sponsor of In These Times. \To articulate what is past does not mean to recognize “how it really was.” It means to take control of a memory, as it flashes in a moment of danger. For historical materialism it is a question of holding fast to a picture of the past, just as if it had unexpectedly thrust itself, in a moment of danger, on the historical subject. The danger threatens the stock of tradition as much as its recipients. For both it is one and the same: handing itself over as the tool of the ruling classes. In every epoch, the attempt must be made to deliver tradition anew from the conformism which is on the point of overwhelming it. For the Messiah arrives not merely as the Redeemer; he also arrives as the vanquisher of the Anti-Christ. The only writer of history with the gift of setting alight the sparks of hope in the past, is the one who is convinced of this: that not even the dead will be safe from the enemy, if he is victorious. And this enemy has not ceased to be victorious.